Beverage Wholesaler - April 9, 2018 To view this email as a web page, click here. Beverage Wholesaler congratulates all 48 spirit and 81 wine winners, who will be honored during a reception at the Wine & Spirits Wholesalers Convention in Las Vegas on April 30. Check back in next week for the wine winners. 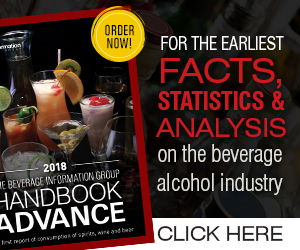 April is Alcohol Awareness Month, which is being recognized throughout all three tiers of the industry. The designation was created by the National Council on Alcoholism and Drug Dependence in 1987 to reduce the stigma associated with addiction. Requirements: Masters degree from a university or equivalent preferred; four to ten years related experience, preferably five years previous management experience with an alcoholic beverage wholesaler or supplier and/or training; or equivalent combination of education and experience.